Los Cabos, located at the tip of the Baja Peninsula, is one of the world’s most diverse destinations with a dramatic desert serving as its backdrop, while nestled by the coastlines of the Pacific Ocean and the Sea of Cortes. Its home to award-winning resorts and fine-dining restaurants, championship golf courses, and world-class spas, Comprised of two towns, Cabo San Lucas and San Jose del Cabo, Los Cabos provides an active adventure or low-key escape. There has been a “rebirth” of sorts for the destination with many new hotel openings this past year. The destination’s food scene is thriving with an increase in farm-to-table dining and annual festivals, which have made Los Cabos a year round destination. Be sure to visit Flora Farms, a ten-acre organic farm in the foothills of the Sierra de la Laguna Mountains, specializing in dishes using their local, fresh ingredients. There is plenty of fine dining here as well with world-renowned chef, Enrique Olvera’s Manta restaurant, offering al fresco dining. Or, try Sunset da Mona Lisa, an open-air restaurant built on the side of a cliff where Chef Paolo della Corte, originally from Napoli, creates an authentic Italian dining experience with traditional Napolitano dishes along with incredible views of the sun setting over the Sea of Cortes. For authentic Mexican cuisine dine at a local favorite- Mi Casa restaurant located in the heart of Cabo San Lucas. One of the area’s newest beach clubs is at the art centric Hotel El Ganzo that celebrates local artists and cutting edge musicians from Mexico with their weekly El Ganzo Sessions. There are festivals throughout the year making for a visit to the region perfect anytime. In San Jose del Cabo, art walks are held every Thursday evening from November through June along their thriving art district, home to a number of art galleries where you’ll be able to see works from Mexican and international artists through a variety of mediums. The Los Cabos Film Festival held every November showcases films from Mexico, Canada and the United States and ranks with film festivals such as Sundance and Cannes. This year had record attendance attracting Hollywood A listers such as Dennis Quaid, Oliver Stone, and Monica Belucci. The gala screenings included riveting Oscar contenders such as Jackie, Captain Fantastic and Snowden. In December, the Sabor A Cabo is a highly anticipated international gastronomy and wine festival welcoming international chefs to promote Baja cuisine. 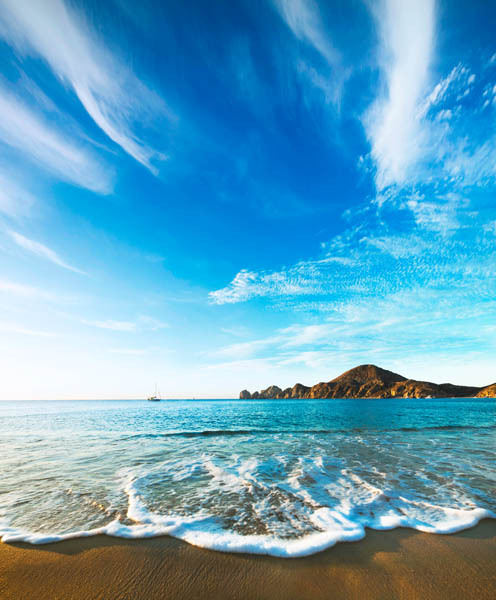 Los Cabos offers activities for land and sea lovers, especially known for its deep sea fishing, surfing, water sports and luxury yacht and boat cruises. Book a yacht charter with Luxury Yachts Cabo, they’ll provide everything from family fun charters to romantic excursions. For both land and sea excursions, Cabo Adventures offers desert jeep rides and zip lining to whales watching and snorkeling. For those looking to get away from it all Secrets Puerto Los Cabos Resort offers unlimited luxury in their all inclusive ocean front resort. Rooms are luxuriously furnished in a contemporary Baja California décor with spacious bathrooms and terraces overlooking a semi private plunge pool or the lush grounds of the resort. Whether you are looking for a quiet respite or a party scene, choose to spend the day in the sun lying on the majestic and peaceful beach or by one of the expansive pools on the property which each reflect a different style. With an unlimited premium open bar and gourmet dining available 24/7, guests are taken care of from the moment they enter the resort. Popular with the elite Hollywood crowd is the Resort at Pedregal, a hotel hideaway where guests are welcomed via the only privately owned tunnel in Mexico, Dos Mares. The Resort at Pedregal features a collection of residential style with the luxury of personal concierge services, private plunge pools, and rainforest showers. With all the new luxury hotel additions and fine dining options available, Los Cabos should be on every traveler’s list for 2017.